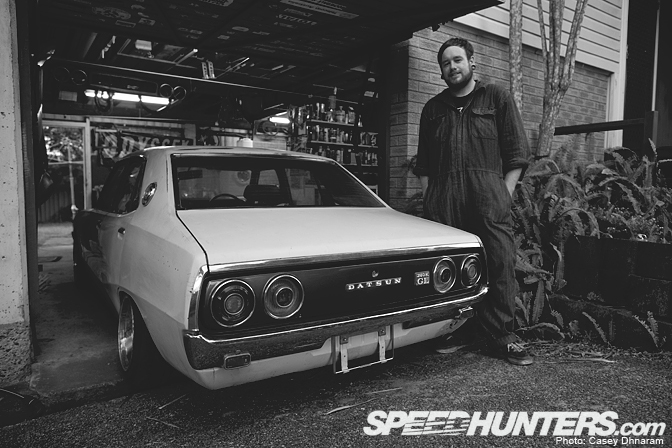 A name that you've seen mentioned a few times on Speedhunters is John Dollison. You may remember his purple PS13 that I shot at the Autumn Matsuri back in November. 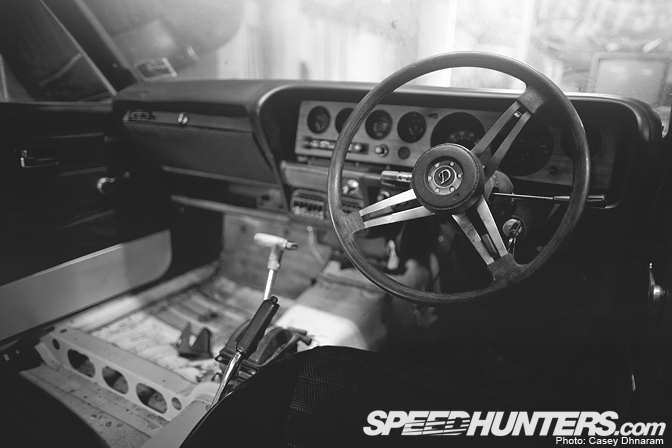 John builds some very nice cars indeed, so I happily paid him a visit to shoot his latest creation: a Yonmeri C110. 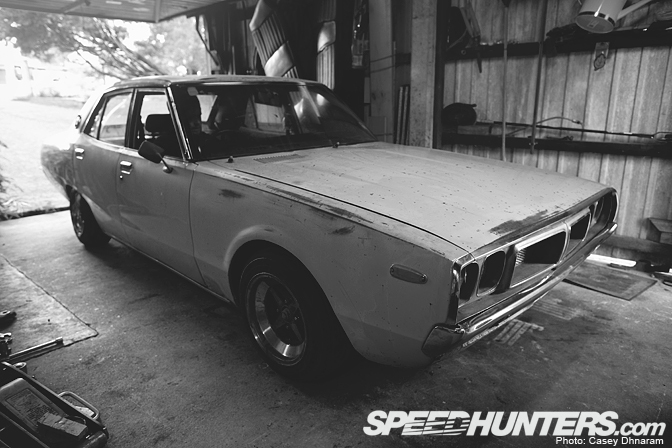 John spotted the car on eBay mid last year with no expectation of winning the auction, so it came as a surprise when his bid was successful and this gorgeous 'old school' Datsun came into his possession. 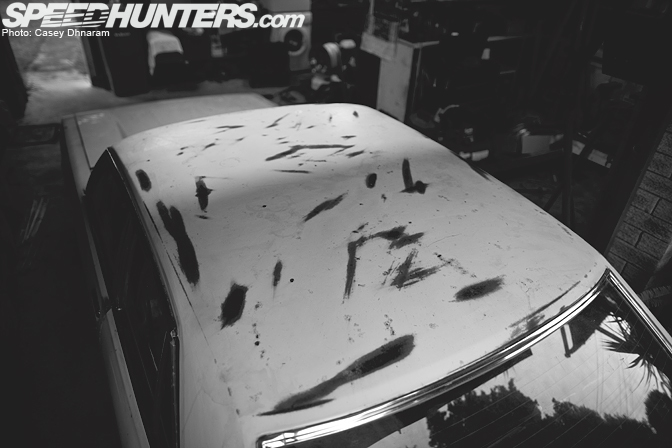 Although wasps had left a trail of mud-nests, all the factory trim had remained in exceptional condition. Worn paint, minor rust marks on the body and a slight dent in the rear quarter were the only blemishes on this 40 year old work horse. 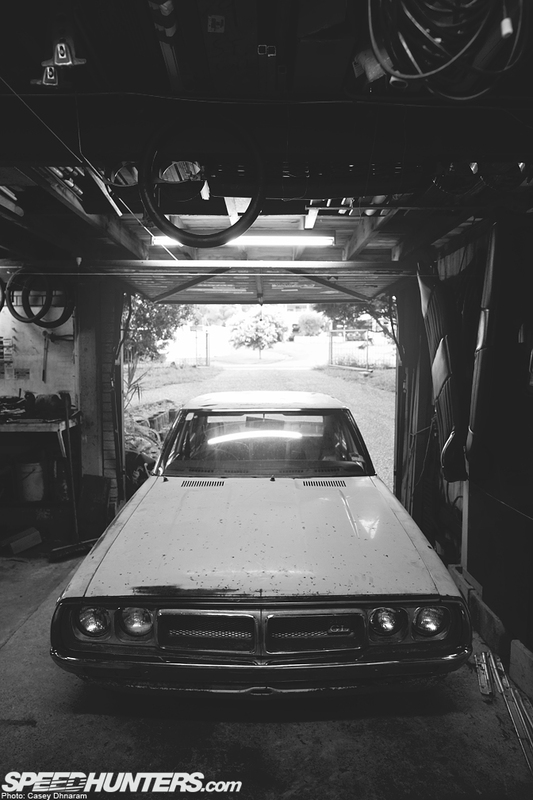 The Yonmeri had been a family car for the last 3 decades – passed down through several generations before doing hard time on the farm and finally being relieved from her duties. During the past few months John has made significant progress, expending countless but deserved hours on cleaning and restoration. The Datsun is currently sitting on AE86 Tokico and CST springs at the rear, which will soon be complimented by a pair of coilovers at the front. 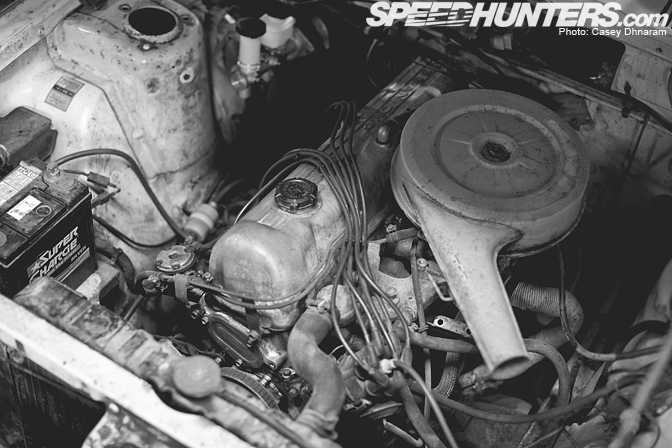 The motor is still a complete factory L24 which is a 6-cylinder 2.4 litre. Sometime in the near future the motor will not only be rebuilt but triple side draft carbs will be installed which will sound truly amazing. The driveline will also be converted to a 5 speed manual gearbox which is currently sitting in the workshop ready to be fitted. 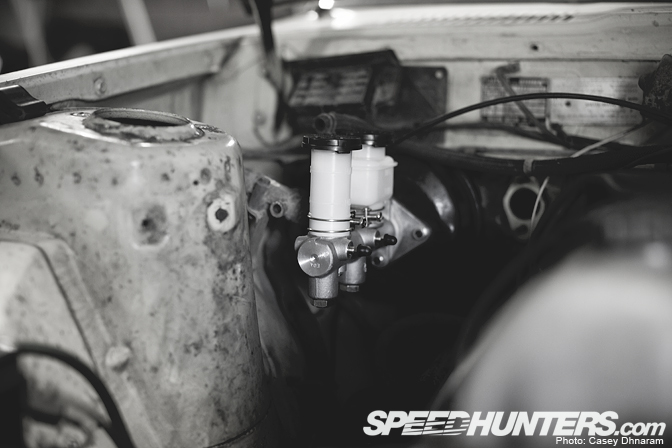 A few minor things have started to replace the factory items such as the brake and clutch master cylinder. 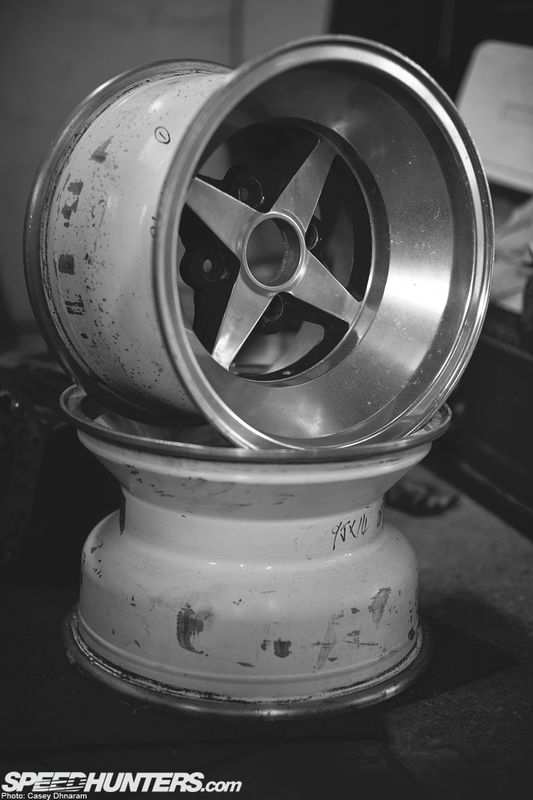 …as soon as the rear guards get a massage to fit these new 14x9J – 15s. Hours and hours have been spent not only polishing the wheels but also the various chrome bits around the car. The next big job before the paint will be to cut and sand out all the rust in the body. Moving onto the interior everything is in immaculate shape. 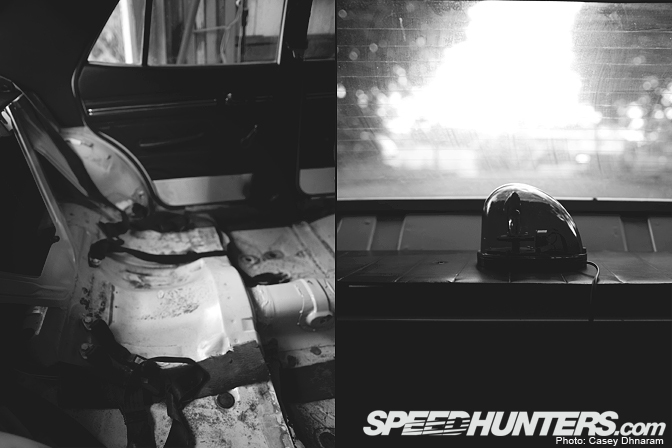 It has been completely stripped apart from the dash, driver's seat and the steering wheel. The door inserts and the roof trim are all in tip top shape. Once the interior is all carpeted and restored it's going to look gorgeous. Looking in the rear I noticed John has installed the purple light from his PS13 in Japan. Unfortunately the car didn't want to kick over on the day due to a completely dead battery, so I had to shoot the car in the garage. Here is a final shot of the classic Yonmeri C110 sitting in the workshop. 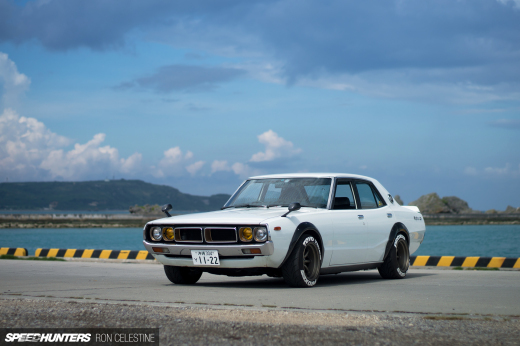 The Perfect Japanese Classic Cruiser? looks like a good project!! 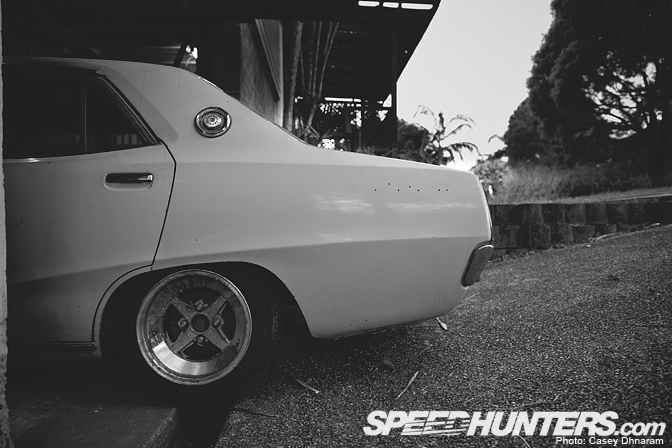 love the wheel choice as well. Lovely project. The final result will be great. 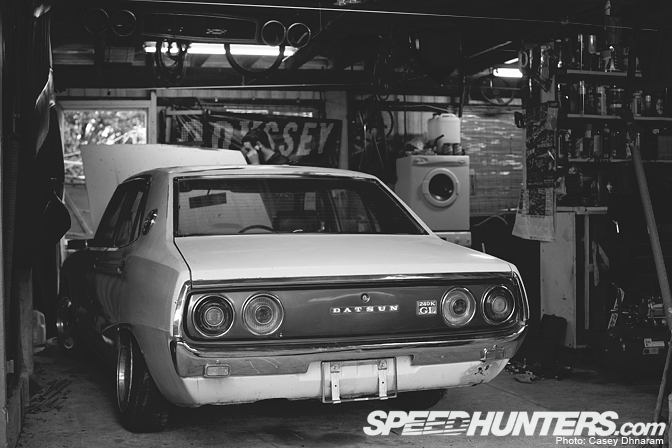 MAN I love fricken love Johnzoku's cars.. so looking forward to seeing this in its final stage!!! haha i like the bmx poster on the wall!! and as wella great build too! haha... tubes all over the place and the oddy banner. Love the ken and yonmeri's! More of the classics like this please! car is gonna be awesome. ... noticed the odyssey bmx banner in the back of the workshop. awesome to see tons of people who ride that are into cars. This is going to be one mean ride! I can't wait to see the finished masterpiece. Great pics by the way!! This will be a nice looking C110 !! Heyy that master cylinder looks pretty good.. i would like to no where i can find a aftermarket one for my 87' mitsubishi starion..
An old fella sits in his C110 4 door in a parking space outside my shop every morning waiting for the bank to open. I'd say he is the original owner and it is pretty well close to immaculate......if only I was into old Datto's I'd probably ask him if I could take it off his hands. They do look good when done right, like I imagine this featured one will! damn, its soooo cool, so classy! 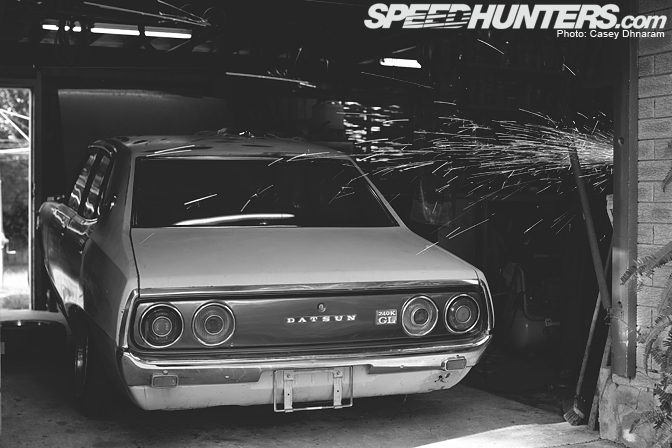 love old datsun`s! Cool how many people recognized the bmx stuff! oh wow amazing project. cant wait to see finished product. Dude rides bikes and likes dope cars, Thumbs up. ya, agreeing with wat zach said.